To win the physical, focus on the mental. New England Patriots Head Coach, Bill Belichick, recently sat down for a rare interview with CNBC contributor Suzy Welch. They talked on competition, leadership and football — three areas that (arguably) the greatest coach of all-time knows a thing or two about. Like any big story, the conversation was followed-up with a frenzy of coverage from media outlets both in the sports and business world. And rightfully so, Mr. Belichick gave a master class on leadership and what it takes to compete at the highest level regardless of your profession. As a result an onslaught of headlines dominated news outlets and social media. However, after watching the video and going through some of the recent follow-up articles, it dawned on me that, out of all the commentary, one thing was remarkable for its absence — namely a lack of insight and analysis into the five-time Super Bowl Championship Coach’s most important leadership philosophy. When asked if he was scared in the closing moments of the most recent Super Bowl come-back victory, he answered, “No, I just try and take it play-by-play and make the best decision we can for the next play”. When asked if he foresaw himself coaching for the indefinite future and if retirement was beckoning, he answered, “No, again I am being short-sighted, I´m good for this year”. When asked if the goal was to go out and win a Super Bowl again, he answered, “No, that is too far away. The goal now is to put a good team together. We can only control what we can control in the short-term, this week, our next opportunity, so that is where we are at”. “The next play”, “short-sighted”, and “short-term”, are all phrases that point to the foundation on which all the leadership qualities that he shares in the interview are built. It is his stoic resolve to focus on only what he can control in the moment that paves the way to strong leadership traits like adaptability and dependability, the key characteristics he mentions in the interview that he instills in not only his players, but also his staff. In the beginning of the interview, Coach Belichick said that General Eisenhower said it best when dealing with the high pressure game-day environment, “A battle plan is great until you actually get into the battle and then it does not mean anything”. 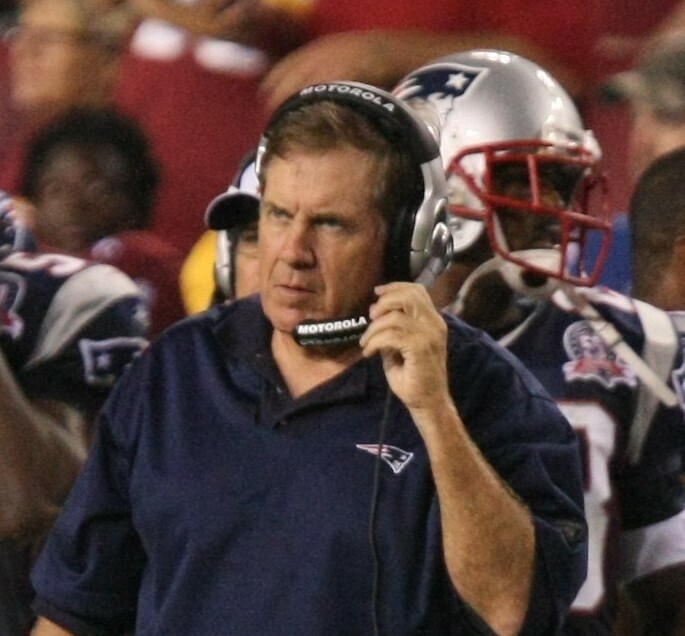 Like all great leaders, Coach Belichick sets out to win, but he recognizes that the long-terms goals can only be reached by prioritising each and every time the time clock resets, a philosophy that fellow five-time Championship Duke Basketball Head Coach, Mike Krzyzewski, aptly terms, the “next-play” philosophy. This mantra, which Coach K tries to live by, on and off the court, he described in his book,“Beyond Basketball” is, “That what you have done, is not nearly as important as what you are doing right now”. This mentality of focusing solely on the “next-play” does not stop with Coach K and Belichick, but can be found in the interviews and books of arguably the greatest coaches of our generation: Phil Jackson, Bill Walsh, Nick Saban etc. Author Ryan Holiday acquired a cult following in professional sports shortly after the release of his book, “The Obstacle Is The Way” and it is easy to understand why. In an interview with Sports Illustrated, Holiday defined stoicism as the “distinction between what you can control and what you can’t”. This is the exact mindset that Bill Belichick reflects when he deflected all possible past or future scenario questions directed his way by Suzy Welch in their conversation. To be successful in sports, business, and in life, it comes down to one´s ability to block out the rear-view mirror and avoid building castles in the sky in order to keep your focus on the things you can control in the present moment. Worrying about the past or dreaming about the future is the job of the people in the stands, not the sidelines. Jocko Willinks, ex-Navy Seal and author of “Extreme Ownership” (and another great leader that we can learn a great deal from) wrote that, “It is not what we preach, but what we tolerate that sets the standard”. Like the other great coaches before him, Coach Belichick, as demonstrated in this interview, clearly does not tolerate anything that involves something that he cannot control. His focus is solely on the “next-play” and by mastering living in the present moment, he has achieved his long term goal of building an enormous castle that his fans have been dreaming of from the stands.